Commitment: We believe that all children should have the opportunity to see clearly. Passion: We are determined to find cures for genetic vision disorders. 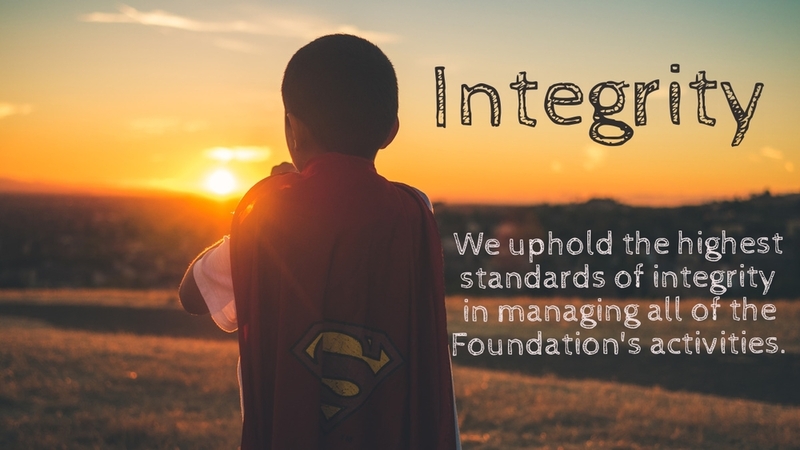 Integrity: We uphold the highest standards of integrity in managing all of the Foundation's activities. Teamwork: We partner with key supporters to achieve our goals. Respect: We value people's contributions and show appreciation for our dedicated staff, volunteers, donors, researchers and partners. Excellence: We are personally accountable for producing superior quality work.